Craftsmanship Comes To Coal Country! 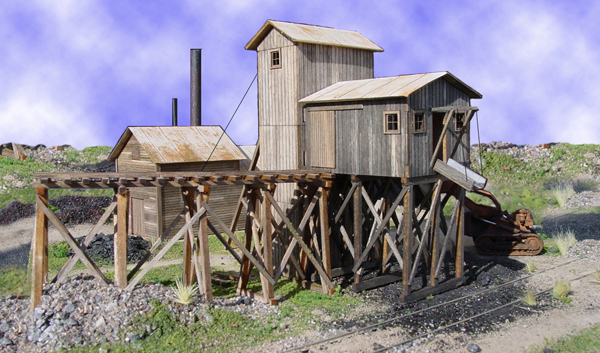 Laser-cut wood kit includes hoist house with attached changing room, headframe with loading house and tailings trestle. Coal chutes provided for both railcar and truck loading. Copy this Martinsburg Coal Mine #1 to your MY ACCESSORIES roster.